3D Gadgets Store, Taman Maluri Cheras | Life, The Universe and ... Everything! The current project I'm working on recommends using Transparent PETG filament for one of the components. This was new stuff for me, as I've been printing using PLA filament so far. I searched and found a seller on lelong.com.my (where I usually source for filaments). I did some googling and turns out the seller actually has a retail outlet specializing in 3D printers and accessories. Since shipping was RM13, I decided to self-collect (you have this option if you are buying from their dedicated web site, http://3dgadgets.my). It was a rainy Saturday afternoon, but when I got there at around 17:30, there were lots of parking spaces available. The outlet is new (since November 2016) and feels like 3D printing heaven! Lots of different types of 3D printers on display in the showroom, and some units were busy printing. I showed my receipt and got my filament immediately. I also picked up a spool of black PLA filament there, which was listed as out of stock on their website earlier. 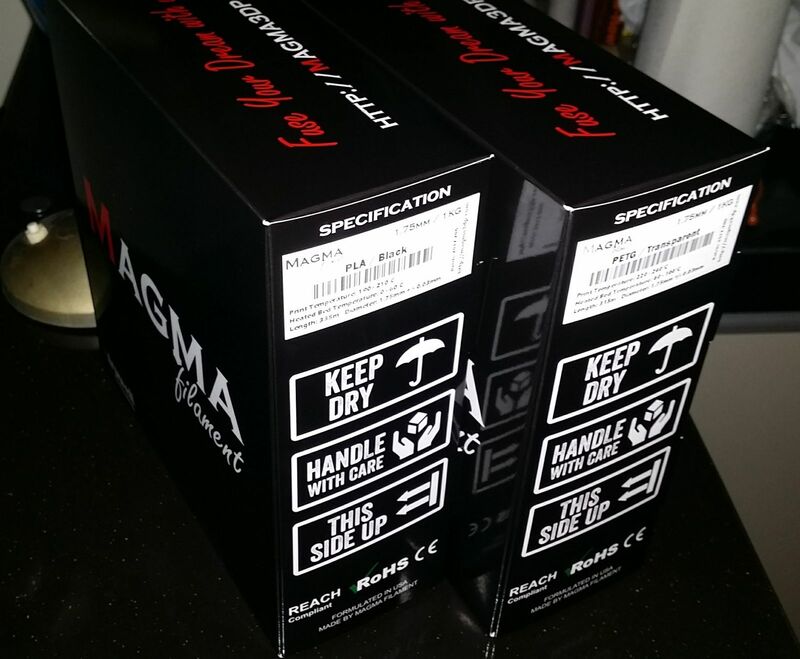 Their Magma brand PLA filament retails for MYR85. The cheapest I've seen PLA online go for on Lelong is MYR69, and once you factor in shipping and the wait, it makes self-collecting from 3D Gadgets Store quite a viable option. They also carry a wide variety of filament types and colours (most of the Lelong sellers have limited colour choices). I didn't buy my printer from them (My Original Prusa i3 Mk2 is only sold direct from the manufacturers) but if anyone's interested in getting into 3D printing, I'd suggest checking their store out. Prices range from MYR1K to MYR4K, and given that they have an actual outlet and offer warranty and support, I think it's worth considering over buying online, especially if you're new to the hobby. PS: They also host a facebook group for local hobbyists to share ideas.